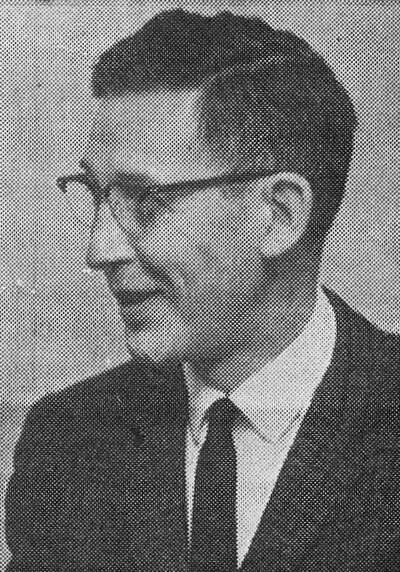 Robert E. Reiheld, M.D. came to Orrville in 1945, after serving 46 months in the service as a medical officer during World War II. He saw action in Italy and North Africa (Casablanca). His undergraduate studies and medical training was done at Ohio State University, where he finished second in his medical school class. He also did internship work at Akron City Hospital prior to his time in the service. Reiheld was raised in Loudonville and had commented many times that he wanted to be a “family doctor.” That is exactly what he became when he established his practice in Orrville and he was active in this endeavor for nearly 40 years. For over 30 years, Reiheld took it upon himself to be the team doctor to all of the teams at Orrville High School. Mo Tipton, head football coach, in 1974 estimated that Reiheld gave about 394 free physicals each year in the Orrville school system. This included 150 in football, 70 in basketball, 80 wrestling, 40 in track, 40 in baseball, ten in tennis, and 4 in golf. This was before girls’ sports were recognized in the program, and when they came into play, he added that many more free physicals to his schedule. It is estimated that he gave well over 10,000 free physicals to Orrville athletes. He could always be seen on the sidelines of the football games and would be the first one on the field if someone got injured, whether it was a Red Rider or an opponent. He attended many special classes pertaining to sports medicine at his own expense to keep himself as current as possible in the field. Reiheld and his wife Phyllis, who taught several years in the Orrville school system, raised seven children. These are Robert G., who is a physician in Orrville, Lynn, Ellen, Mark, Sue Ann, Craig, and Philip. For his dedication to the community of Orrville, Reiheld was named Citizen of the Year in 1974, receiving the Paul L. Powell award. Dr. Reiheld passed away in 1984 following a brief illness.